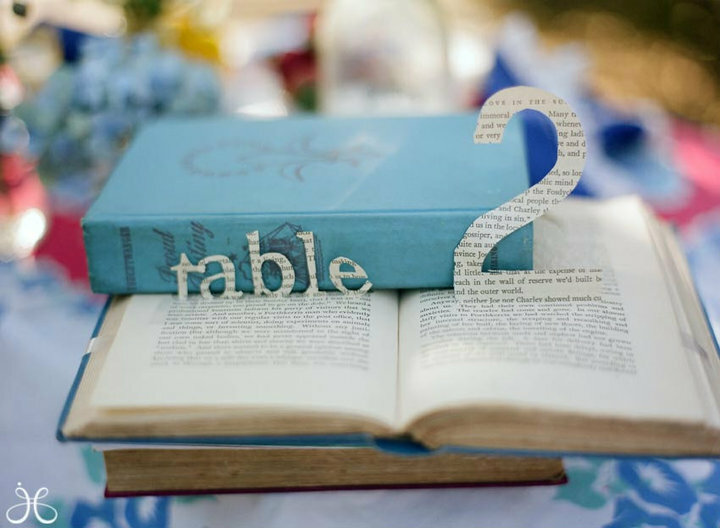 Plan your own Story Book Wedding! The Story Book wedding theme is such a fabulous idea that I just had to share. One of my favorite wedding photographers, Jessica Claire, shot the most beautiful wedding, with one of the most clever summer themes that I have seen in a long time! 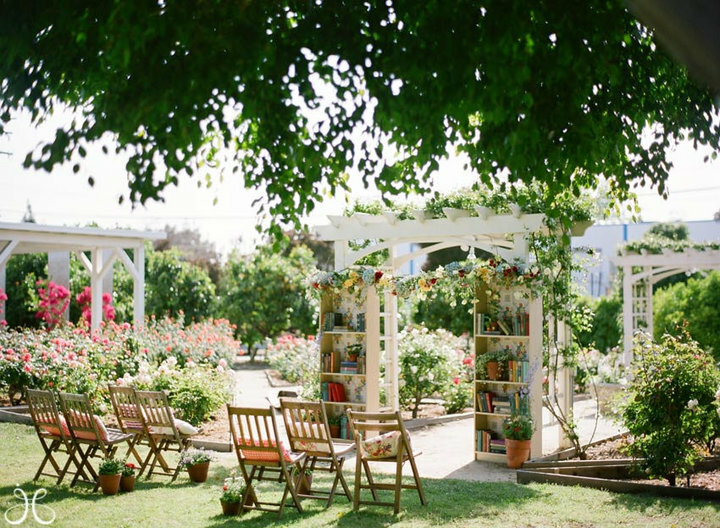 I’m in love with the simplistic elegant style of this library themed wedding. What a perfect way to start your own Story Book marriage. 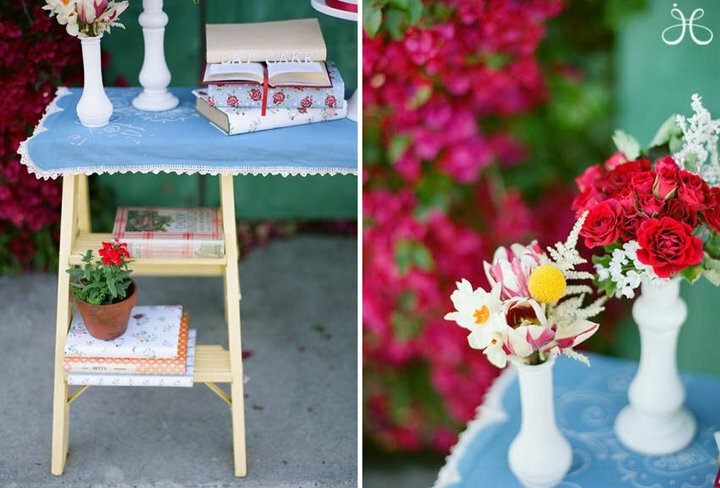 From the vintage floral fabrics used for pillows on the chairs, to the simple potted plants and books galore this theme is perfect for an outdoor summer wedding. Enjoy! Simple, chic and elegant. What a great way to save money without having to sacrifice style! What a perfect garden wedding. This just screams for a garden tea service after the ceremony! Please sign out your book here. What a unique way to display the gust book. The vintage vases and the summer flowers are elegant and cost-effective. Many of the decorations needed for this theme can easily and inexpensively be purchased a thrift stores, flea markets, tag sales and the like. And a fun activity for you and your bridesmaids! What a cool idea! An old book with a new purpose. 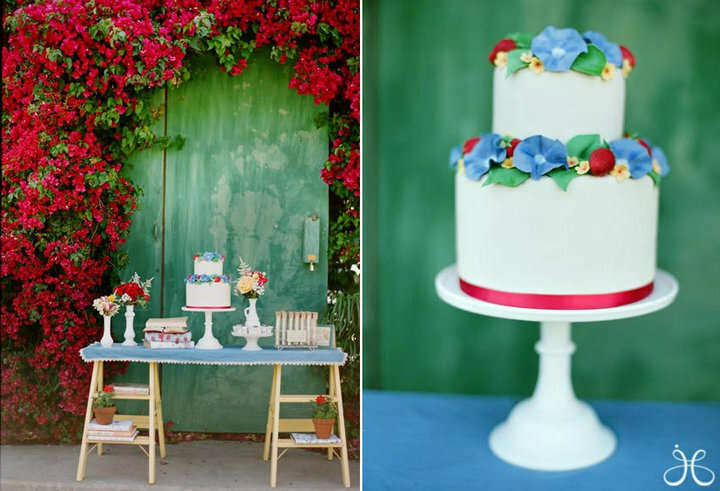 Nothing says a beautiful summer day like morning glories and strawberries…a simply beautiful way to adorn your wedding cake. Wow! What a perfect summer garden spread. 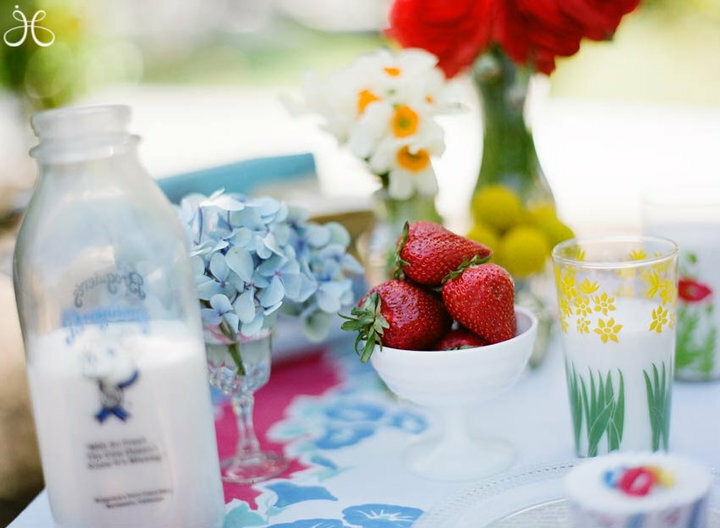 I would have loved to see a vintage sugar bowl for dipping the strawberries. But who can be picky when presented with such a well thought out offering. How lovely! Please visit www.jessicaclaire.net, the photographer of these beautiful images. And visit www.theclassicinvitation.com for your own story book themed wedding invitation! This entry was posted on Wednesday, January 5th, 2011 at 1:19 am	and posted in Wedding. You can follow any responses to this entry through the RSS 2.0 feed.